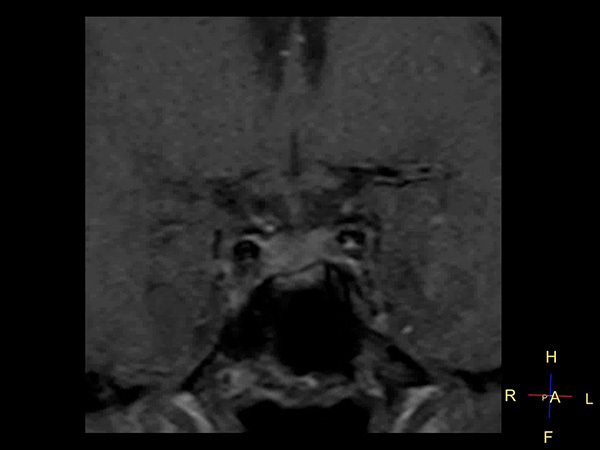 Subtle 4mm focus of decreased enhancement in the right pituitary posteriorly. 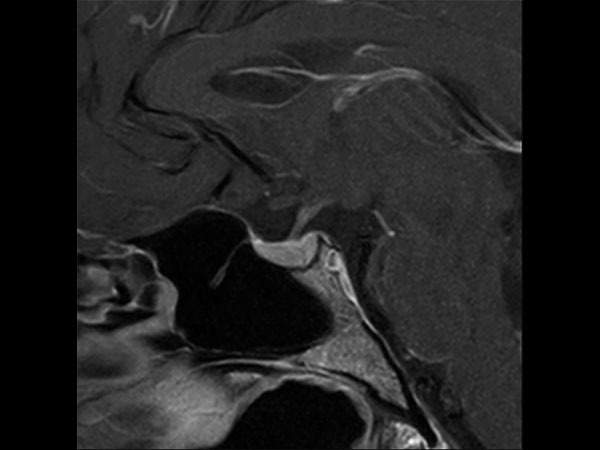 No definite discrete lesion is demonstrated and the findings are equivocal for a microadenoma. 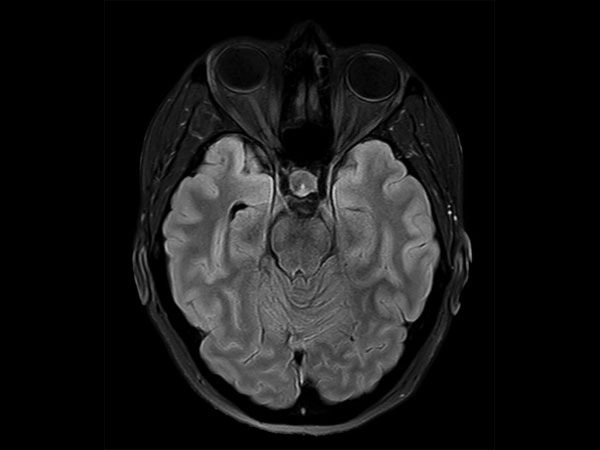 Follow up imaging with MRI in six months is indicated. 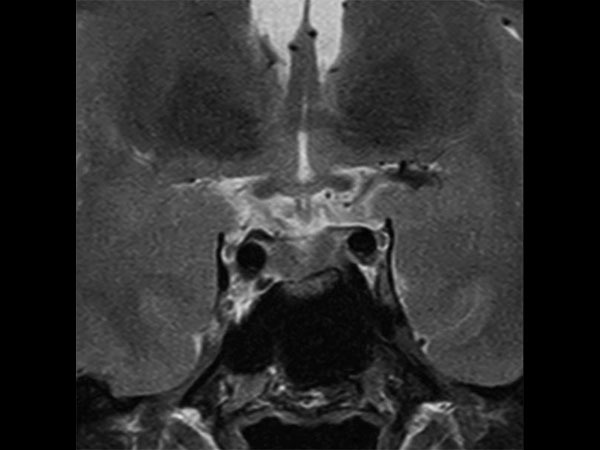 No suprasellar lesion or no other intracranial abnormality is demonstrated.